Some breaking news, CNN has confirmed that the White House is talking about a massive new overhaul of how they regulate Wall Street. We'll start with that.Also, from the campaign trail, calls from Barack Obama supporters for Hillary Clinton to get out of the race. Some of her senate colleagues have been very strong in their words, but she believes that she's got the best of all reasons to keep going.We'll start posting comments at 10p ET and stop at 11p ET. Erica’s News Note: Bring on the weekend! Not sure how this fits into your Saturday plans, but there’s a worldwide movement to go dark tomorrow night at 8pm local time… actually, it’s part of a plan to go green. “Earth Hour” starts in Christchurch, New Zealand and moves West with the sun, with cities – and, the hope is, with citizens – pulling the plug for an hour, to remind people of the link between energy usage and climate change. In San Francisco, both the Golden Gate and the Bay Bridges will be dark. Earth Hour is supposed to make us think about a greener lifestyle… or, if you own a bar, maybe just the green on those dollar bills. According to Time, a Phoenix bar is serving up “eco-tinis” and glow-in-the-dark necklaces in honor of the occasion. hmmm, plastic necklaces filled with chemicals? Yup, that sounds super green. At the Sheraton in Chicago, you’ll check in by candlelight. But will any of this really do any good? Baghdad was on virtual lockdown Friday as a tough new curfew ordered everyone off the streets of the Iraqi capital and five other cities until 5 p.m. Sunday. Two brothers who were attacked by an escaped tiger at the San Francisco Zoo have filed claims against the city alleging negligence and defamation. A pair of high-profile backers of Sen. Barack Obama have called on his rival, Sen. Hillary Clinton, to drop out of the race for the Democratic nomination for president. Sen. Barack Obama kicked off a bus tour Friday in Pennsylvania, gaining a key endorsement in that state ahead of its April 22 primary. Sen. John McCain launched his first general election ad Friday. A 16-year-old boy has admitted to the murders of 12 people in southern Brazil, according to a police investigator who described a chillingly calm confession. After three decades on the Endangered Species Act's "threatened" list, the gray wolf was officially removed today – a decision that has stoked controversy among environmentalists and ranchers. 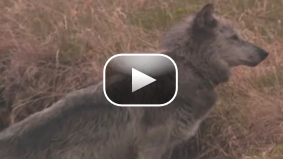 It means the wolves can now be shot and killed if they step out of Yellowstone National Park. Fish and Wildlife officials from neighboring states can shoot them when they deem the wolves to be a problem, and it's expected they'll establish hunting seasons too. The government delisted the wolves – which were eliminated from Yellowstone decades ago but reintroduced in the 1990s – because they are now thriving in the park that is dominated by bison, elk, and bighorn sheep. 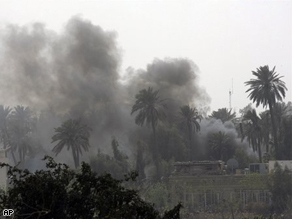 In Iraq, another defining moment? Today during a press conference with the Australian press conference, President Bush underscored the significance of the latest explosion of violence in Iraq by calling it “a defining moment in the history of a free Iraq.” The much maligned Iraqi forces desperately need a military success as the lead force, but U.S. troops are being drawn deeper into the conflict. President Bush also said “any government that presumes to represent the majority of people must confront criminal elements.” Yet many believe that the very same group with which the U.S. and Iraq signed a cease-fire - Shiite leader Muqtada al-Sadr and his Mahdi militia – are such criminal elements. But what exactly is - and who defines - a “criminal element” in a country where it’s hard to distinguish between foe and friend from day to day? Exactly what’s at stake right now? Anyone who came to CNN heard pretty quickly about "Bev." Beverly Broadman joined CNN a month before the network launched 28 years ago. 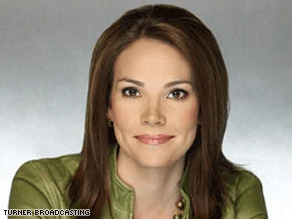 And when I got to know her, she was CNN's national desk dayside manager. Beverly Broadman, a CNN original, died Thursday after battling cancer. She was 60. Bev was a petite woman, stooped, with hands knarled by early and painful arthritis. But for those of us in CNN's bureaus, you wouldn't know it. The expression is a cliche, but Bev was a towering figure. 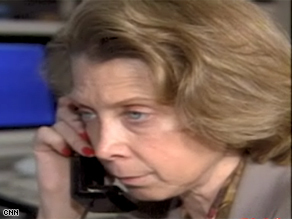 Her job was to make good journalism happen across the nation. And she was amazing at it. Bev cajoled, she probed, she challenged, she kept us hopping, she kept us motivated, and she kept us honest. Here is today’s “Beat 360°” pic of the day: Here we have U.S. heiress "she who must not be named" trying on a veil as she poses for photographers during a photo call in Istanbul, Turkey... "She who must not be named" is in Turkey for the Miss Turkey 2008 beauty contest as a jury member. Two nights ago on AC360, I introduced you to Debbie Shank. She is a brain-damaged woman from Jackson, Missouri, who used to work for Wal-Mart. Debbie Shank, 52, suffered severe brain damage after a traffic accident in May 2000. In May of 2000, Debbie’s minivan was struck by a semi-truck and her brain received the brunt of the trauma. She now lives in a nursing home. Debbie was covered by Wal-Mart’s Health and Benefits Plan but after she settled with the trucking company that hit her, Wal-Mart sued her to get back the $417,000 it had paid out for her care. What neither Debbie nor her husband, Jim Shank, noticed was a tiny clause in the health plan’s paperwork that said if Debbie settles with a third party for damages, which she did, Wal-Mart has a right to recoup the money it spent on her care. How times have changed. This morning I reported about DNA paternity tests. That's right – you can go to the drugstore today and buy a genetic test that can determine who is the father of the child. In fact my producer Danielle bought two from the Rite Aid by her house – she did get a few funny looks.